E-commerce, meaning buying and selling online using the Internet (1) includes e-shops selling goods and services direct to the customers (B2C) and online sales between companies (B2B). In can also include electronic bidding and marketplace. Amazon, Alibaba or eBay (2) are among the best-known and largest e-commerce companies. The number of people making online purchases is constantly increasing and so is their spending. Thus, the volume of e-commerce market grew by 24% year-on-year to over CZK 100 billion in 2016 (3). It’s sure that it will continue to grow. If you specialize in e-commerce, you don’t need to worry your knowledge and skills won’t be relevant in the future. More and more companies are interested in buying and selling online. There are more than 38 000 e-shops (3) in the Czech Republic, but it’s not just these companies that do business online. Companies that not too long ago only used offline sales methods are now exploring their options online. 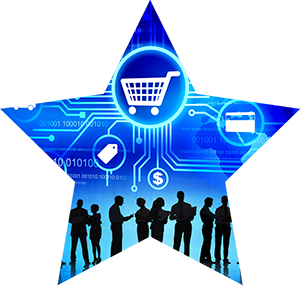 You can say that almost all companies are going to need e-commerce experts. It’s not easy to find them, hence all the job offers on majority of job portals (4). Common wage if a Consultant in a small digital agency is 37 000 CZK per month (5). A typical wage of a Digital Marketing Manager is 75 000 CZK per month. High demand for experts is pushing the increase in wages. These numbers don’t need further comments. For many people, home-office is a valuable benefit and as important a high wage. Especially for mothers on maternity leave or with small children. 9 out of 10 employers in e-commerce (92% to be precise) allows at least a partial home-office. In 94% e-commerce companies is home-office used by marketers. It’s always difficult to start your business. The biggest advantage of online business is the low entry barrier. If you choose an e-commerce and CRM System well, your costs will only be in thousands of CZK. Using social media for marketing and communication can also be cost-effective. You only need to know how to do it right. Understanding of online business and marketing, being a specialist in e-commerce is IN. Just ask everyone around! If you enjoy spending time on the Internet and social media, why not turn your hobby into your job? There is nothing better than having a job that is also fun.